We’re in a meetings state of mind! As we all dig deep for 2016 planning and head into the new school year, we have your productivity in mind! The right setting is essential to get the creative juices flowing and the networking ice broken. 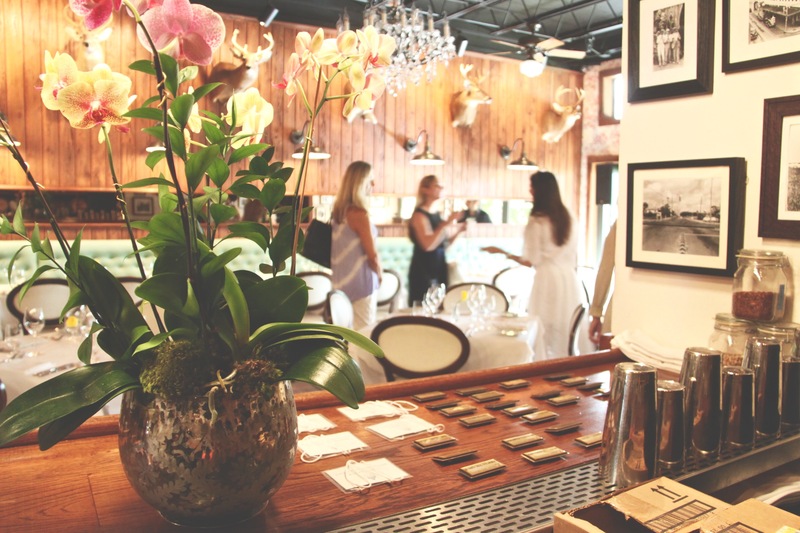 We now have a perfect private venue to do just that. 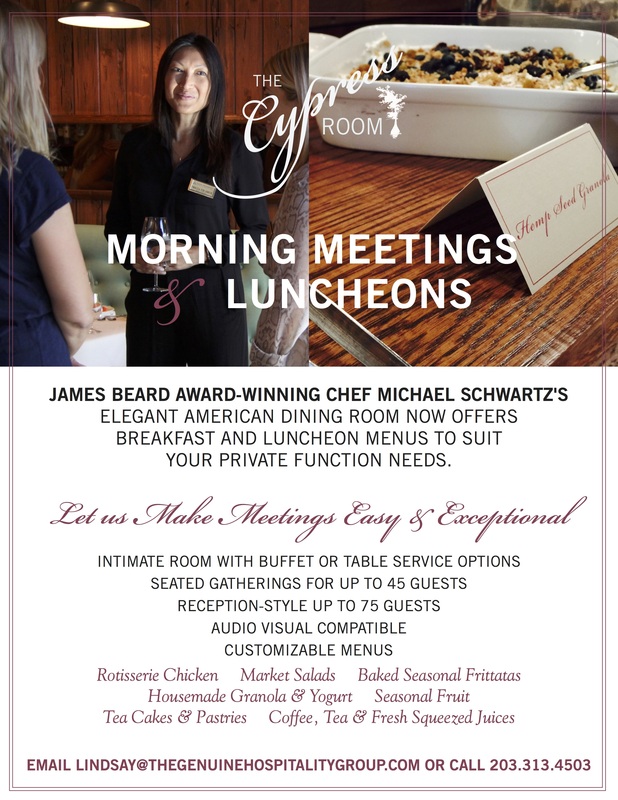 Let The Cypress Room orchestrate exceptionally easy morning meetings and luncheons for you. Open for dinner, and available for your daytime business functions. Reach Lindsay Guidos with your needs at lindsay@thegenuinehospitalitygroup.com or call her cell 203.313.4503.